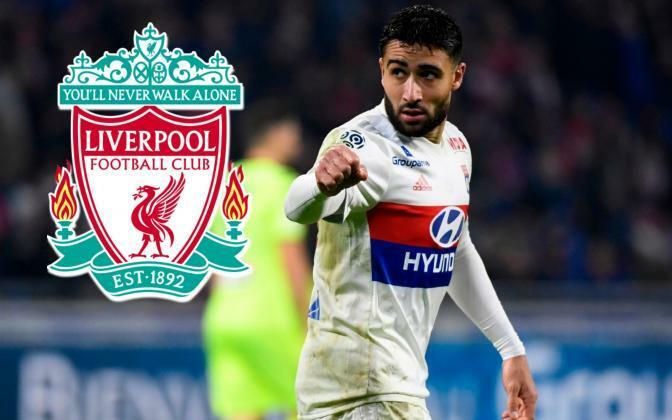 Liverpool are not believed to be in the process of renegotiating a deal for Nabil Fekir following the collapse of his move earlier this month. The club’s spiralling transfer saga of the summer has been thrown back and forth since it was revealed talks had broken down with Lyon. Personal terms and a £53million fee had been agreed until an unveiling was cancelled in light of concerns raised over the results of his medical. An underlying knee injury related to his lengthy spell on the sidelines in 2015 proved to be the defining setback, although Fekir himself has since dismissed fears over his fitness. Following reports suggesting Liverpool had re-entered talks, the Telegraph’s Chris Bascombe has clarified that the club’s position remains unchanged and that there has been no fresh contact. It looks increasingly likely that Fekir’s future will remain undecided until he returns home from the World Cup with France. Lyon president Jean-Michel Aulas has been surprisingly open about the strong chances of Liverpool reigniting a move for Fekir, somewhat putting the ball in the Reds’ court as to where Fekir winds up. The playmaker’s agent has similarly insinuated that the deal is far from over after the initial blow, with Fekir notably keen to seal a move to Anfield. Filling the no.10 void prevails as a priority for Jurgen Klopp this summer, potentially alongside the acquisition of a new goalkeeper.